Independent and variable cams replicate the body’s natural strength curve throughout the entire range-of-motion. 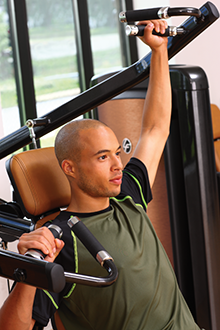 Pad positions are optimized for middle deltoid muscle stimulation. Pivoting handles accommodate users of all sizes. 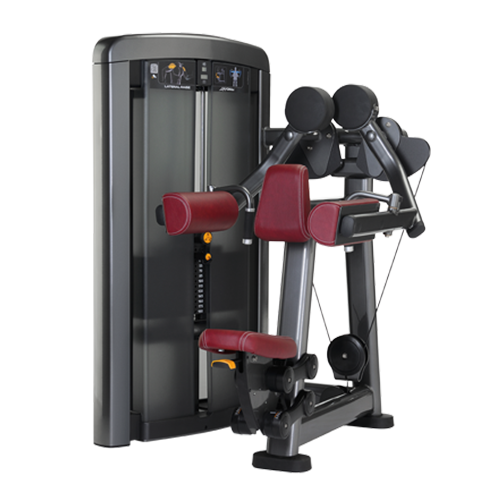 Counterbalanced arms for lowering starting resistance. 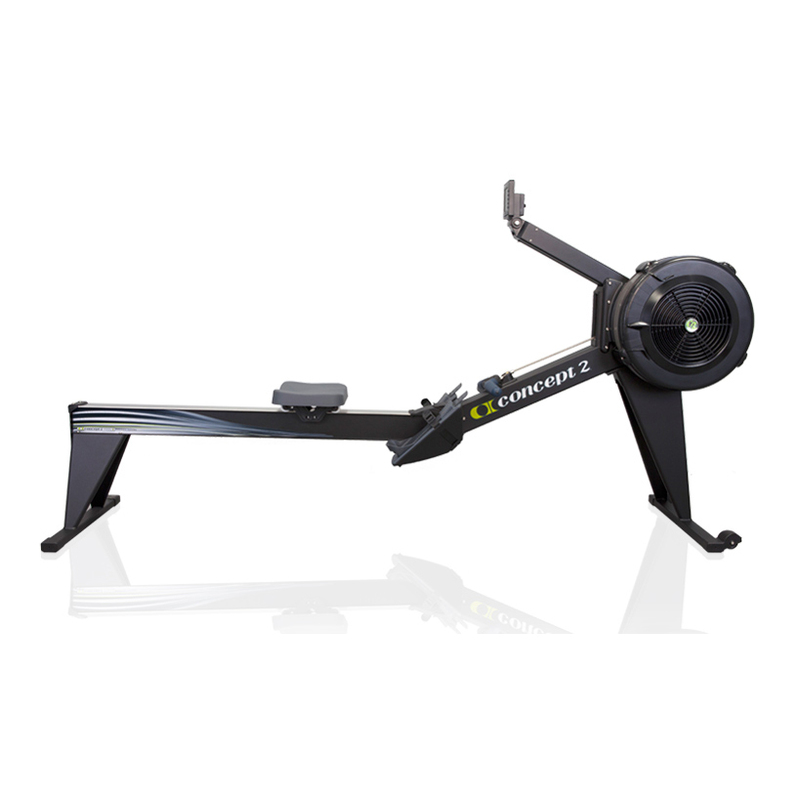 Categories: Commercial Fitness, Strength, Insignia Series, Upper Body. Tag: Upper body. 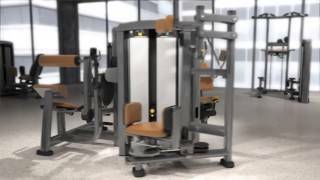 Eye-catching design combines with low-profile towers to create equipment that is appealing to all exercisers and results in an extremely inviting facility environment. 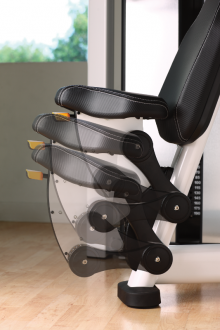 Adjustment dials and knobs have large diameters and feature rubber gripping areas to make them easier to use. A bright yellow color makes every adjustment point easy to recognize. Seats can be adjusted with simple one-hand operation. 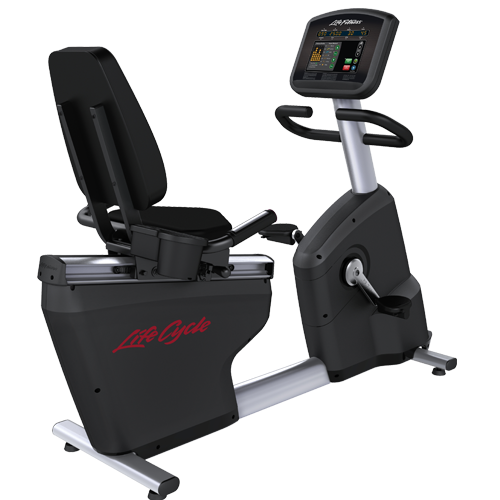 Expert biomechanics create controlled, natural feeling motions that provide an enjoyable experience for users at all fitness levels. 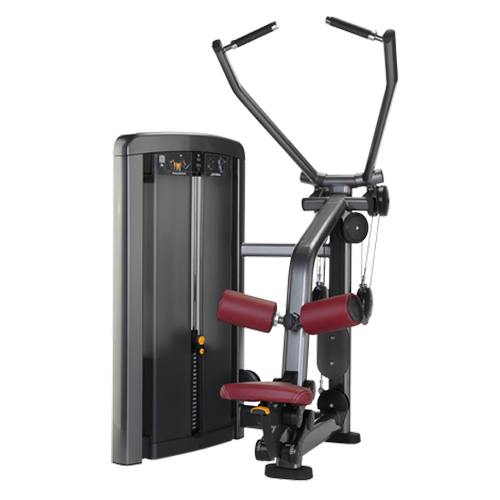 Eight upper body units utilize independent motion to maintain equilateral muscle development as well as accommodate exercisers with physical limitations. 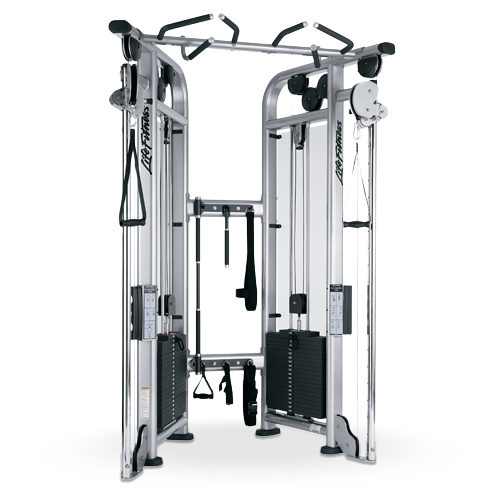 Placards clearly depict what muscles are being trained, what adjustments can be made, and proper movement for each machine. 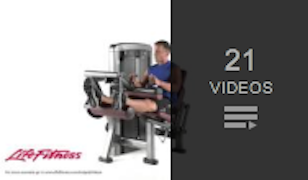 The QR code/NFC connects LFconnect app users to a detailed video highlighting the correct use, and tracks their progress. 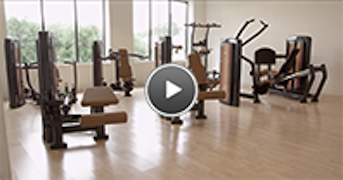 Rep counter and timer make it easy for exercisers to keep track of their workouts. 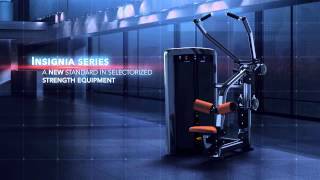 Counterbalanced articulating seats on Insignia Series equipment adjust at an angle to ensure optimum positioning and effectiveness for exercisers of all sizes. See where style meets performance.